Jalaun is a city and the municipal board in Jalaun District of Uttar Pradesh, Northern India. 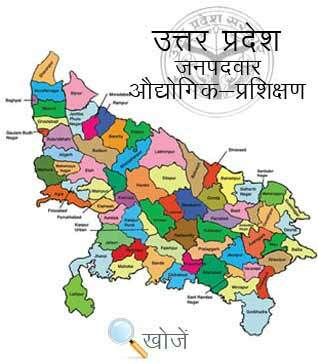 The city is named after the town of Jalaun which was the former headquarters of the Maratha Governor. The administrative headquarters of the Jalaun District is at Orai. Kalpi, Konch and Madhogarh are the other well-known large towns of the District. Jalaun offers modern education in all streams to the students. It has various educational institutes, Government Colleges, Private Education Centers like Swami Vivekananda Inter College, Jalaun, Shatabdi center for Education Excellent College and Jalaun Public Academy etc. Government Medical College, over here is one of the best Medical Colleges located in Orai of Jalaun District. Also for Higher Technical Education and Non-Technical Education the city boasts private as well as Government Industrial Training Institutes. It has one Government ITI at Orai Jalaun Road and various famous private ITI’s like S.R Private ITI, S.D. Shastri Private ITI, and Rajeev Talwar Private ITI etc. imparting technical and non technical education to the students. The basic qualification to enroll in various courses is matriculation and the minimum age is 14 years. In the state of Uttar Pradesh Vyavasayik Pareeksha Parishad, Uttar Pradesh (VPPUP) is responsible for conducting the examination for admission to various ITI’s in the state. To know more about courses and to get admission in them students can visit the official site www.vppup.in. Students can also visit the online education portal www.upiti.in which offers complete information to the students such as online admission, checking of results, counseling dates and other important notifications etc.